Summary: April, 1897: A young nanny arrives at Sandringham, ancestral estate of the Duke and Duchess of York. She is excited, exhausted—and about to meet royalty. . . .
Last night, our book club met to discuss THE ROYAL NANNY by Karen Harper. To be honest, I wasn't exactly thrilled with this selection, but a few of my friends said they enjoyed the novel. I am not a big fan of books about the royals, and I'm pretty sure that was the reason for my reluctance to read it. Unfortunately, I waited until the last minute and had to read the majority of the novel on Sunday. 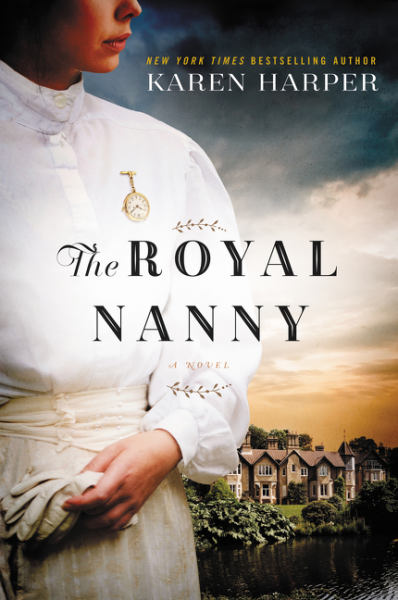 I ended up liking THE ROYAL NANNY but not loving it -- I'll review the book after I return from my mini-vacation to SIBA. Most of the members of my book club enjoyed it more than I did so maybe it was just me. To be honest, I'm not really sure it was the ideal book club selection, although fortunately we were able to find quite a few things to discuss. One thing we all agreed on was that the novel reminded us a little bit of Downton Abbey because we were able to see how the haves and the have-nots mixed. While we did have some different views on the story, most of us appreciated seeing royal life through the eyes of the nanny. We agreed that the author did a fantastic job of portraying the dedication and sacrifice that Lala made for the children... even when it meant she missed out on a normal life. There was some discussion on how the book ended. I don't want to give too much away, but there were a few members who were disappointed with like the ending. THE ROYAL NANNY was based on the real Charlotte Bill, and the author claimed that she tried to keep the story fairly true to Lala's. However, there admittedly was a fair amount of fiction in the story. One member commented that she thought it was odd what the author felt compelled to keep "true" versus the fictional life she created for Lala. Overall, our group enjoyed THE ROYAL NANNY and we did have a fun evening. A big thanks to our hostess who had a wonderful spread including Crack Cake as well as a delicious Mediterranean Dip! 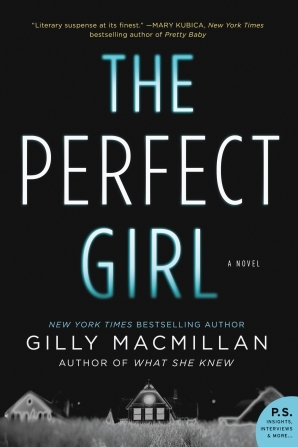 Next month, we will be reading THE PERFECT GIRL by Gilly Macmillan. I am super excited about that we picked this one. I first heard about THE PERFECT GIRL when the fine folks at Harper Collins presented it as part of their fall preview. I couldn't wait to read it then and I'm even more excited now because of what I heard last evening. A few women in our group have already read it and their feedback was extremely positive. Summary: From Gilly Macmillan, the international bestselling and Edgar Award nominated author of What She Knew, comes this whip-smart, addictive, and harrowing novel of psychological suspense—perfect for fans of Paula Hawkins and Kimberly McCreight. “With tightly drawn characters, a fascinating storyline and absolutely exquisite narration, The Perfect Girl is sure to keep readers up all night. Gilly Macmillan proves once again to be a master of the written word and is quickly becoming one of my go-to authors. Literary suspense at its finest. "—Mary Kubica, New York Times bestselling author of Pretty Baby Zoe Maisey is a seventeen-year-old musical prodigy with a genius IQ. Three years ago, she was involved in a tragic incident that left three classmates dead. She served her time, and now her mother, Maria, is resolved to keep that devastating fact tucked far away from their new beginning, hiding the past even from her new husband and demanding Zoe do the same. Tonight Zoe is giving a recital that Maria has been planning for months. It needs to be the performance of her life. But instead, by the end of the evening, Maria is dead. In the aftermath, everyone—police, family, Zoe's former solicitor, and Zoe herself—tries to piece together what happened. But as Zoe knows all too well, the truth is rarely straightforward, and the closer we are to someone, the less we may see. I'm not a fan of royalty either but my mom would probably love this book!! I like books about royalty on occasion, but I'm not sure if I'll like this one.